Bf 109G-14 serial number 464454 shot down west of Haderslev 12/3 1945. The aircraft belonged I./ (Erg) JG 1 and was coded ? A number of American P 51 fighters had escorted bombers to Swinemünde and were returning towards west when a group of four sighted two Bf 109`s and was at the same time attacked by a third Bf 109. The American group consisted of Captain Owen Farmer, F/O John Pesanka, F/O Joseph Coker and 1st Lt Vernon Carr. They let go of their drop tanks and turned against the German planes. It was cloudy and the Americans spotted and lost the Germans again in the clouds thus the de briefing of the combat became a bit confusing as the pilots was quite naturally stressed up. Farmer turned against the attacker and as the German climbed he hit the German aircraft in the belly with his 12.7 caliber guns. The Bf 109 started burning and Farmer last saw the Bf 109 when it was diving through 2000 ft at an 80 degree angle. Farmer climbed again and reformed with the group and at 4500 ft spotted two German planes. Coker opened fire at one plane and hit it before he lost it in clouds. Farmer attacked the other aircraft and fired short busts at it but had to break out of the attack. Carr took over and fired at the German at zero distance and the German starting burning. 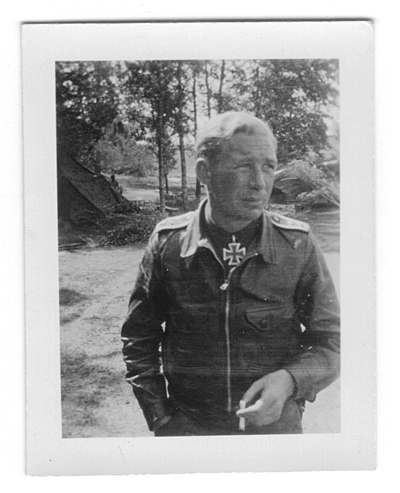 The German pilot bailed out at 250 meters but the parachute did not deploy and he fell to his death. 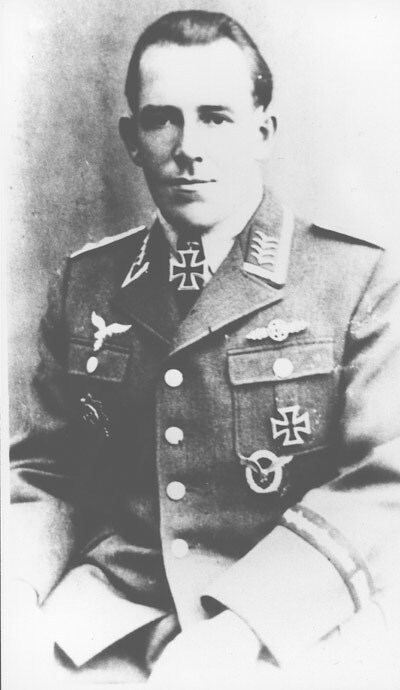 At 1000 ft Pesanka saw a Bf 109 coming against him and made a sharp 180 degree turn to get behind it and scored hits on the fuselage, cockpit and wing. The Bf 109 exploded and fell to the ground and burned. 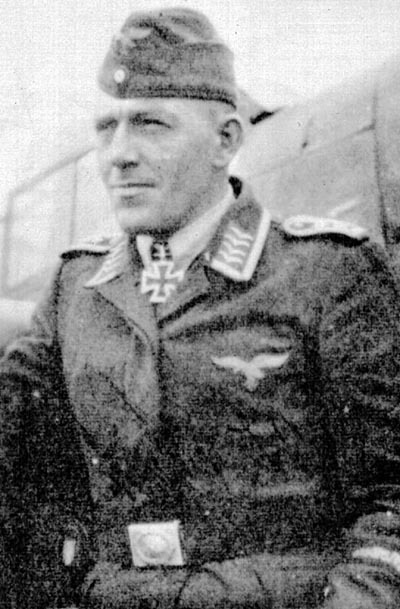 Coker attacked two planes and these separated and Pesanka handled the one turning right. 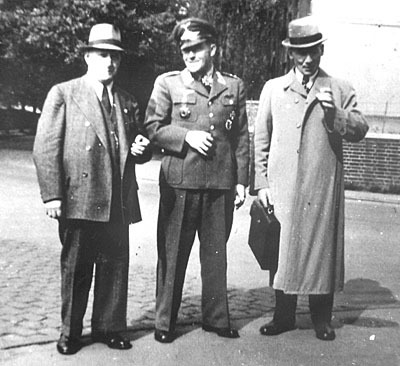 Coker followed the one turning left and when he had closed in to 250 meters, he opened fire and continued firing to 100 meters. The Bf 109 was burning when it rolled over and dived to the ground where it exploded on impact. Oberfeldwebel Wilhelm Mink and his Bf 109G-14 serial number 464454 were seen to go into a steep climb. The aircraft turned over one wing and dived vertically to the ground. It fell in a pond near the Jacobsgaard farm east of Hammelev west of Haderslev at approx. 12:50 hrs. 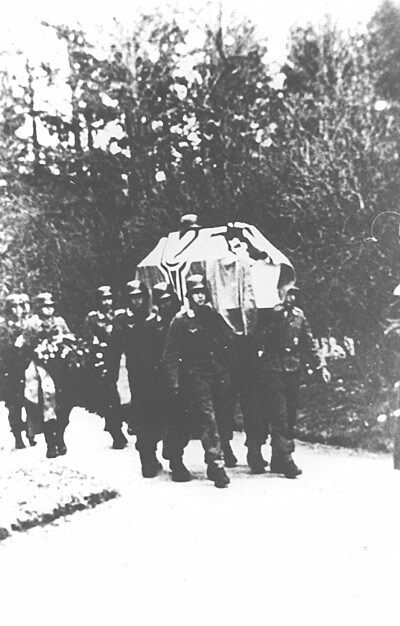 Mink`s body was taken to the chapel at rest at the cemetery in Flensburg. He was laid to rest in the Friedenshügel Cemetery in Flensburg. The Bf 109G-14 was a 100% loss. Note: A highway was build west of Haderslev in 1983 and the remains of a aircraft and its pilot surfaced near Hammelev. 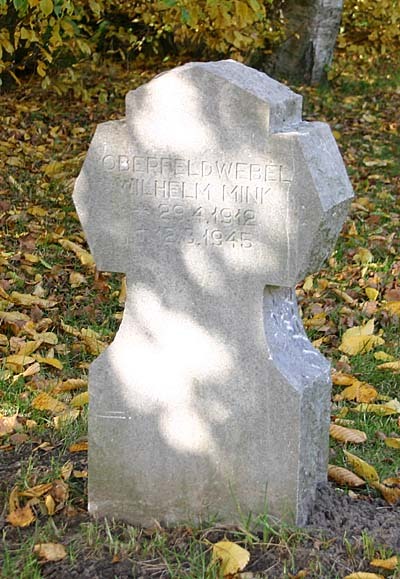 This caused some confusion as it was known that Mink had been laid to rest in Flensburg. It turned out that the Germans had done a poor job in recovering all of his remains. Sources: RL 2 III/1199, LBUK, CP, Warming.